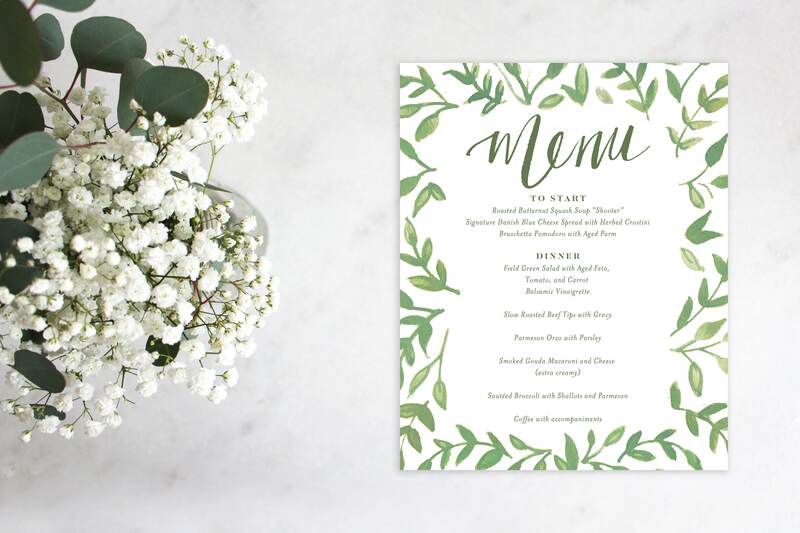 This beautiful menu 10inx8in menu with a touch of greenery is the perfect addition to your party! Frame it up by your buffet station or near your tables. Ideal for weddings, showers, parties & more! Please provide your menu details to me in the 'Notes to seller' section during checkout. I will then send you a proof, and once your proof is approved I will email your print-ready files.